Sometim es when you are stuck on an obstacle with knitting or crocheting, it can be difficult to know where to find your solutions. 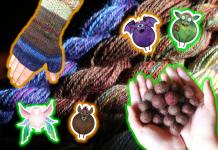 If you don’t have a good friend to bribe with treats to help you out, or a helpful yarn store in town, sometimes you don’t know where to turn or who to trust with your projects. After working with our customers that come in daily in need of help, I have found a few good resources, besides my own knowledge, to combat those obstacles. Whether it be yarn substitutions, pattern help, or getting tutorials. In this post I will be covering some of my personal favorite resources for finding help. 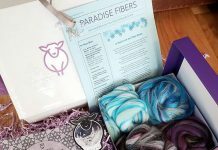 I have customers contact us daily about yarn to use for patterns. Either they don’t have a local yarn shop to compare or the yarn they want to use is discontinued. Both of which can be frustrating when you are looking for good yarn substitutions in your pattern. It’s also difficult to tell if the material is going to knit to the proper gauge and have the same feel when knit up. 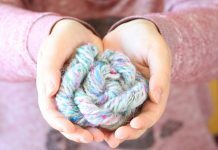 One website I like to use is yarnsub.com. This is a wonderful website that I use almost daily for customers and now my co-workers love using this site as well. You simply type in the yarn you are looking to substitute and click search. This site is amazing not only because it gives you a percentile of a good match but all the reasons as to why! It lists in comparison the texture of the yarn, the gauge, fiber content, qualities of the yarn, and the grams/meters. 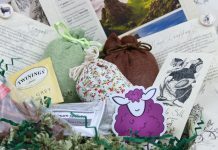 I really enjoy how helpful this site is and recommend you give it a try if you are looking for a substitute yarn. This particular p attern is the Brick sweater by Clare Lee which a free pullover sweater pattern on Ravelry. The size, chest in inches, and yards needed are all in order according to the placement of the letter size in the brackets. 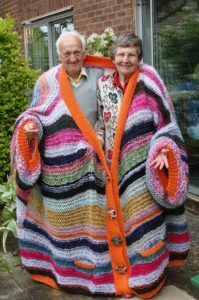 For instance, if you are a size medium, your chest is approximately 37 inches around and you would need 1000 yards of a worsted weight yarn for this particular pattern. If the pattern has a suggested yarn and gives amounts of skeins instead of total yardage you will need for that yarn, and are not using the suggested yarn, then I would look up how many yards come in one skein of the suggested yarn, multiply the yardage of one skein by how many skeins suggested, and divide it by the yardage in one skein of that yarn you are using. I like to do the math this way as opposed to purchasing how many skeins are suggested because it could very by quite a bit according to size of the skeins. 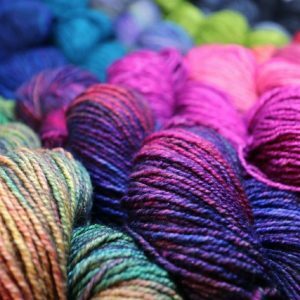 The suggested yarn might come in a 50g skein and the yarn you are using may come in a 100g skein so yardage between the two will be vastly different. If you have a chart instead of written instructions in your pattern, and have never known how to read a chart then no worries. Reading charts can look quite intimidating at first but once you understand the setup, it becomes easy to read. Click here for a link to reading knitting charts. 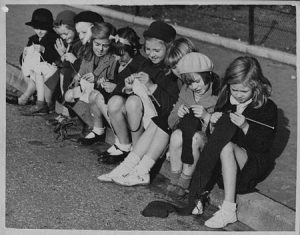 While I was learning to knit for the first time, there was no YouTube or Google to reference. There were only crafting classes and the library with the Dewey decimal system. Luckily technology has brought knitting classes to us in the convenience of our homes via YouTube. 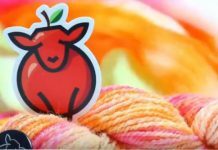 There are a few channels I enjoy watching for knitting and crochet tutorials that have helped me tremendously whenever I run into a problem or get stumped. 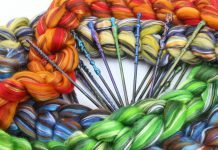 For knitting tutorials, I really enjoy VeryPinkKnits and ExpressionFiberArts. For crochet, I have found Bella Coco is a great channel for learning how to create certain projects and Wool and the Gang for learning or brushing up on crochet stitches. I really like how clear the directions are and how all these videos are concise and in sharp focus on the stitches. For any questions you may have about Paradise Fibers wheels and spinning, you can a lways refer to our YouTube channel. All these YouTube channels really try to make sure the color and type of yarn they use is coming through on video and looks very clean in detail. I will tell you these lovely YouTubers have helped me more than I can say as I have stumbled here and there. Hopefully you have found some good resources for any bumps in the road you may encounter in this blog post and if not, I would love to hear where you go for help. Do you have a local shop or good friend to help you out with your projects? What are your favorite resources for finding help? You can always call our store at (509) 536-7746 for issues you may have. Our customer service team is awesome and we have a few people on staff here with years of experience and are very dedicated to helping you out as best we can. Good luck out there crafters and remember to pass on the knowledge!